Show me a Nation that honors its dead, and I will show you a Nation. A Nation and people who appreciate the legacy they left as well as that Nation’s appreciation for their sacrifices in helping preserve the liberty we cherish. It is our way of immortalizing them and the lessons they taught us, the memories they left us, and the important, if not great, accomplishments or achievements of their life. So it is today as we honor Ed Mitchell as part of the Memorial Day weekend as we take time to honor those whom have gone before us, setting that example of patriotism – a love for our country and the ideal behind our existence; the ideal emblematic in our National Colors that led men and women in our quest of Life, Liberty, and the Pursuit of Happiness. General Logan also proclaimed that we should guard their graves with sacred vigilance. In 1915, after presiding over the funeral of a friend and fellow soldier, Lt Col John McCrae wrote the following poem about the American Cemetery in Flanders Fields, Belgium. Moina Michael was so inspired by the poem that in 1918 she replied with her own poem entitled We Shall Keep The Faith. These four lines pointently supplement the ideals above, as well as making a new proclamation on the importance of honoring veterans, family members and even friends. Eddie, as most of us knew him, made a personal sacrifice at a time when duty called and Eddie answered the call just like millions of others have down through history. Like many of us who, during the time in our lives when our freedom is threatened, Eddie set aside his personal goals, his vision for his personal future, to be part of that rampart against tyranny, to serve his country. It is for us, his family and others who remain, to cherish his memory, to never forget the personal sacrifice, the memories of conflict, agony and pain he kept within after he came back home from Vietnam to carry on with his vision and goals for his life, and that of his family. In a few moments the customary three volleys will be fired, followed by the playing of Taps. This practice of firing three volleys over a grave originated in the old custom of halting the fighting to remove the dead from the battlefield. Once each side had finished retrieving their dead, they would fire three volleys to indicate that they were ready to go return to the fight. Taps became the more solemn manner of returning to the fight. As it is played think about these, some of the unofficial words for Taps. We miss you Eddie and are honored to have known you during your time on this earth. 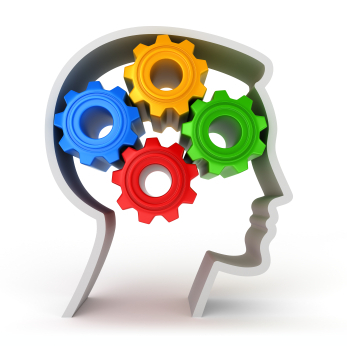 Multiple Intelligences are rarely, if ever, talked about in leadership circles. Two that might be discussed are intellectual intelligence (IQ) and Emotional Intelligence (EQ). 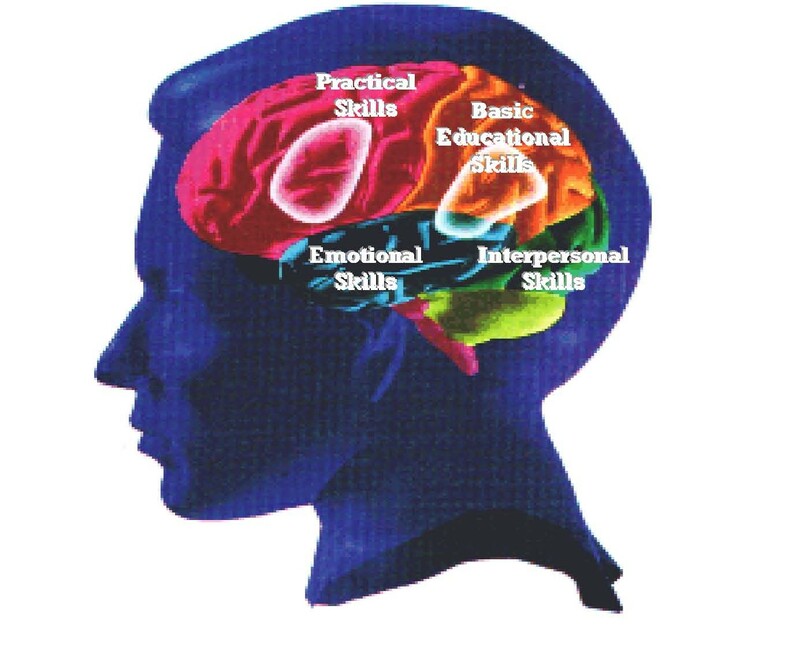 In 1983 Howard Gardner, in his book Frames Of Mind, wrote about seven types of multiple intelligences in human beings. Gardner argues that there is a wide range of cognitive abilities, and that strength or weakness in one area or ability does not necessarily correlate to another intelligence. For example, the theory postulates that a child who learns to multiply easily is not necessarily more intelligent than a child who has more difficulty on this task. While Gardner did not mention leadership in any of his multiple intelligences, it is easily recognizable that to be an effective, efficient and productive leader, intelligence is quite naturally required. As such, I believe there are four kinds of intelligence that directly affect one’s leadership capabilities and methodologies to become a successful leadership practitioner. A holistic approach to leadership requires knowledge, i.e. intelligence, is these areas: Physical (PQ); Intellectual (IQ); Emotional (EQ); and Spiritual (SQ). They are interrelated in that they build on each other as one’s intellectual level increases over time through normal life experiences, academic achievements and professional expertise in our chosen fields. Christine McDougall, on her website Positive-Deviant, writes about the importance of Physical Intelligence (PQ) to the overall well-being of personal health and fitness. 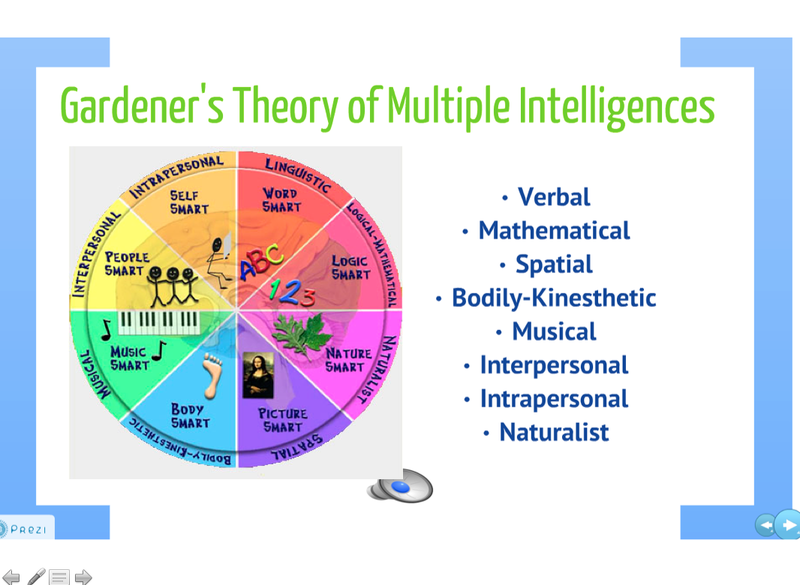 Physical Intelligence relates to Gardner’s bodily-kinesthetic intelligence. Furthermore, current studies and findings prove the necessity of maintaining a strong fitness level to improve longevity and body functions. PQ theory says that individuals need be knowledgeable in fitness, nutrition, and bodily wellness. Life-long learning is widely regarded as the increase in the intellectual level – IQ – of everyone wishing to improve one’s mind, professional expertise, and position in life. IQ contributes significantly to the personal “wisdom” one attains throughout the maturing process. Henri Bergson, in his book Creative Evolution reminds us: “To exist is to change, to change is to mature, to mature is to go on creating oneself endlessly.” Continuing education is a never-ending process in raising one’s intellectual level, i.e. IQ. Daniel Goleman, writing in What Makes A Leader, says that his findings have shown that the most effective leaders all have a high degree of Emotional Intelligence (EQ). The Center for Creative Leadership (CCL) says EQ is associated with better performance in nine different areas of leadership and management. Goleman’s research clearly shows that EQ is the sine qua non – absolute requirement – of leadership. Cindy Wigglesworth, in her book SQ 21, outlines from her research 21 key elements to Spiritual Intelligence (SQ); which she emphatically differentiates from religious and religious beliefs. She believes that SQ is developed over time, with significant practice. SQ is defined as: “The ability to behave with wisdom and compassion, while maintaining inner and outer peace, regardless of the situation.” Wisdom and compassion being the pillars of SQ. In The Servant As Leader, Robert Greenleaf lists twelve characteristics of Servant Leadership that practitioners need to exhibit in order to be classified as a servant leader. Two of Greenleaf’s characteristics – Awareness and Self-Awareness are directly related to the above four intelligences. Self-Awareness refers to having a deep understanding of oneself – emotions, strengths, weaknesses, needs, drives, and “who we really are” as we exist in the world. It requires reflection on personal behaviors, interactions with others, and our overall decision-making posture in leadership. Further, it refers to the moral and ethical value system we use as the foundation of our leadership practices. Awareness refers to our surroundings with whom we interact and build relationships in our leadership positions. Awareness also refers to a leaders abilities to consider the points-of-view or behaviors of others in an attempt to logically learn the inner-self of their behaviors. The following briefly lists some of the salient points of each of these four leadership intelligences. Ability to listen, identify and respond to internal messages about one’s physical self. Pain, hunger, depression, fatigue and frustration are examples. Learn about and understand the mind body connection. For instance: stomach telling mind it is time to stop eating; understanding the difference between the internal voice of wants vs. needs; the bodies need for exercise when we want to be lethargic. Determining our body’s perfect weight, fitness level and perfect diet. Enrolling in classes of higher learning, obtaining a second degree, technical expertise improvement classes. Research intellectual topics such as philosophy, religion, symbolism, leadership, psychology. Surrounding yourself with people or organizations where life-long learning exists. Learn principles and practices for improvements in Self-Awareness and Self-Management: self-confidence; self-control; adaptability; initiative. Becoming more socially: empathetic; service orientation to others and the organization. Relationship Management: inspirational leadership practices; change management; conflict resolution skills; teamwork building techniques. Deeper understanding of one’s own world view, life purpose, value hierarchy and controlling personal ego to consider the higher self. Self-mastery of one’s spiritual growth, living your purpose, values and vision, sustaining faith in and seeking guidance from a higher power. Social Mastery/Spiritual Presence: wise and effective mentor of spiritual principles; leadership change agent; making wise and compassionate decisions; and being aligned with the ebb and flow of life. 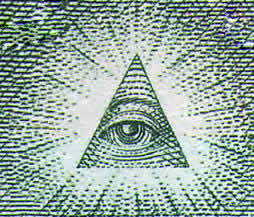 Gardener’s “mind’s eye” theory refers to the human ability to “visualize” or “see” images in the mind. Arguably, this requires deep and intense thinking in order to see objects in the mind that cannot be touched or felt. However, sports coaches and teachers will tell you to visualize certain actions, such as hitting a tennis (The Inner Game of Tennis) or golf ball (Little Green Golf Book), throwing a football, or similar activities. Have you expanded your Leadership Intelligence beyond your own personal views and thoughts? Do you exercise your “minds-eye” in your daily leadership of others? Is leadership required to understand the intelligences of others whom you lead? I’m interested in your thoughts and comments. Is Leadership Really That Complex? President and General Dwight D. Eisenhower said, “Leadership is the art of getting someone else to do something you want done because he wants to do it.” In other words it is the art of influencing someone to complete a task while convincing them it is their own idea and something they want to do in the first place. Notice he said “art”, which indicates that it is not a “science”, that it is a skill acquired through learning, observing, and practicing. Furthermore, since it is not a science, leadership is separate and distinct from management, which is associated with resources such as goods, services, products, procurement and similar functions. Human Resource Management deals with the hiring, orientations, training and policies that deal with employees of the organization. Management is a complex function, dealing with the science of inventory control, financial planning of procurement, expenses, liabilities and profit. It requires analyzing of the effects of change, including the financial risks to profits and loss. These complexities require accounting, financial management and their associated mathematical compilations. When all these infrastructures are in place, what is left is the art of influencing and convincing the human factor, the employees, toward the execution of the plans initiated by management. Complex? I am of the mind it is not all that complex. Difficult? That is another story. Leadership is a skill and therefore must be learned to be effective. Furthermore, one does not have to be in a top-level leadership position to be a leader. What Maxwell is saying is, “One doesn’t have to be at the top to be a leader.” Nor is he saying that one only learns, or even starts learning, leadership principles when they are in a designated top-level position. When a person decides on their line of work, that is the time one should begin learning about leadership. One fault of MBA Programs is that their focus is on management, with very little leadership principles and practices being taught. Another myth is that one has to attend college to learn leadership. Wrong! There are literally thousands of leadership books on the market from which one can learn leadership principles and practices. He learned every aspect of our radio shack onboard ship, every piece of equipment, every system that was made up of this equipment. He did not hesitate, or have to be told, to train others in the use of the equipment or the various aspects of our communication center. He could function as a watch supervisor, which required communicating with upper-level management and leadership. He took the initiative to troubleshoot problem, preventing major disruptions. Guy Haxton was a leader. It is really not that complex. Yes, it requires skills to be able to efficiently deliver leadership because we are dealing with people. This is the more difficult part. Leadership requires practice, experience, making mistakes, control of one’s emotions, listening skills, awareness, self-awareness – Knowing Thyself, empathy, and intense, empathetic listening skills. Team-building is a much-talked-about leadership topic in today’s business world. While a lot of my leadership skills and practices were achieved through training, a huge amount of it came from my involvement with sporting activities throughout my life; football (quarterback), softball, baseball, umpiring and refereeing, physical fitness competitions and sailing. As I was watching NASCAR racing last week, I took note of and remembered the team-building training of pit crews, who are key to racing success. 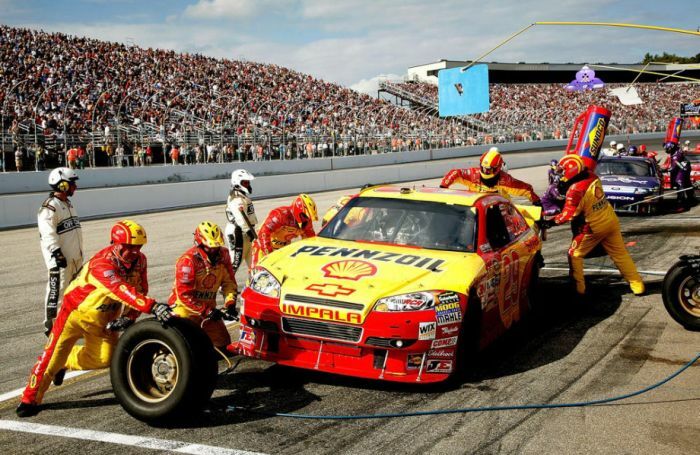 In the span of less than fifteen seconds, pit crews can change four tires, refill the fuel tank, clean the windshield, remove litter from the front grill and repair minor damages. I particularly noticed the crew member removing a tire and gently rolling it away. While installing the new tire, another crew member quickly rolled or carried the tire away. Everyone has an assignment and with methodical excellence carries out their individual tasks, in perfect rhythm with the other team members. It reminded me of my experiences at sea, the dangers Mother Nature can inflict on ships and boats, and my personal sailing days. 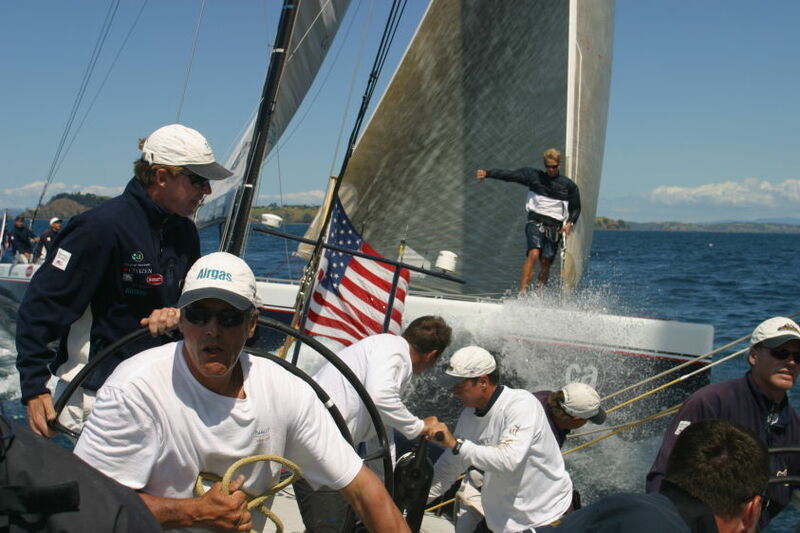 Sailing, regardless of the size of the craft, like a NASCAR Pit Crew, requires teamwork expertise and skill to safely sail a craft smoothly through the water. During one of my sailing classes I remember the instructor, a retired Navy Captain with years of experience sailing his personal 40-foot craft around the world, telling us of the four rules of sailing. These four rules indicate the immense teamwork required to sail a craft, especially when part of a racing team, and can easily be tailored to leadership development, not only as demonstrated by NASCAR Pit Crews, but also in any work environment. They are also quite appropriate to modern team building and teamwork leadership. Simple enough wouldn’t you think? I can tell you from experience, it is much more difficult than the rules imply; regardless of the number of people in the boat – i.e. on the team. Let’s look at some of the leadership skills required to follow these rules and smoothly sail – guide – your team to success. ►Keep the people in the boat – On the Team. Take care of your people. Insure that there basic physiological needs are being met; maintain a safe and secure work environment; treat everyone with respect and dignity to permit a team-connection to the work group; create an environment of empowerment and creativity to build confidence and self-esteem; and lastly permit them to grow emotionally, spiritually and morally in a way that gives meaning and purpose to their lives. Maintain constant training and life-long learning opportunities to improve personal expertise and skills that contribute to organizational and personal visions. Create a worthwhile recognition program that instills confidence and creativity. Enable a path to promotion for those super-players with recognized capabilities. 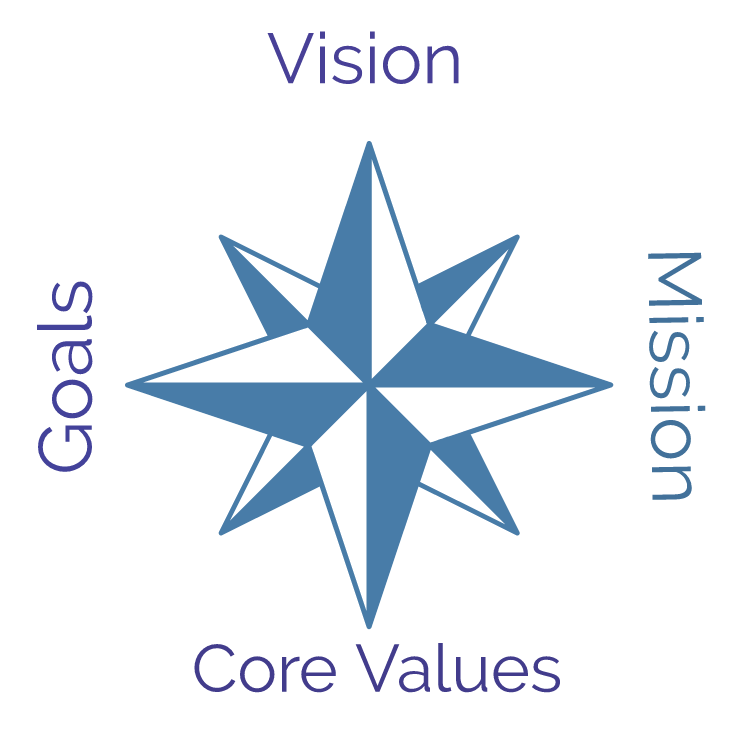 In short, leaders values each team member as in integral cog in the wheel that keep the boat sailing toward its intended objective and the overall mission for success. ►Keep the water out of the boat – Protect them. Prevent contradictory leadership from sources that disrupt the team and question the motive and legitimacy of the leader. Support them, go to bat for them, take steps to build team-member confidence and trust that says, “I trust that you made the right decision and that you are working for the good of the team.” Mentor them to instill a personal and spiritual connection to you, the leader, and to the team; make them feel like a valued member of the organization. Help them problem-solve personal issues that prevent their total focus on the team vision and purpose. Take an interest in their well-being. 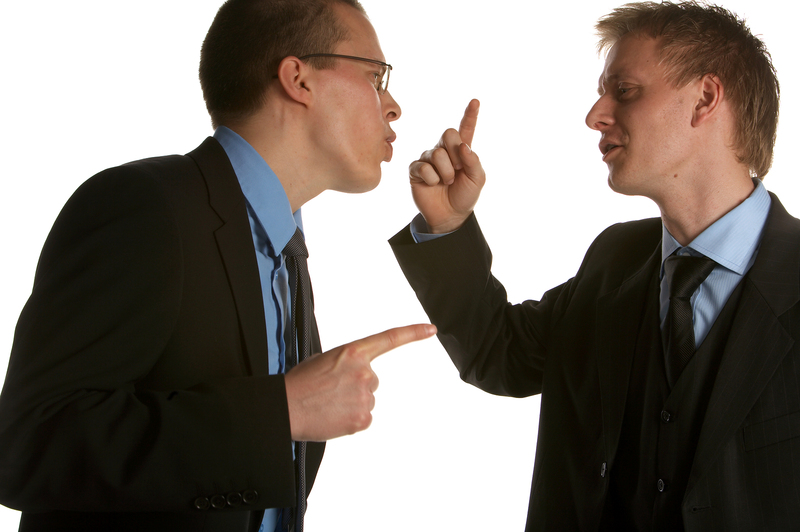 ► Don’t hit anyone – Conflict resolution. Conflict un-confronted is conflict unresolved. Leadership must be ready and capable to resolve conflicts regardless of the magnitude of the problem. Leaders need to be skilled in relationship building with empathy, exhibiting a caring attitude about individual success and professional growth. Create team accountability practices that enable individual team members to resolve internal conflicts – resolve disruptive issues at the lowest level possible. Leadership requires a keen eye for disruptions in the personal lives of team members that interferes with their ability to perform at high levels of success. ►You have to look good – Professional appearance. External perception is extremely important to the success of the overall team. Looking good goes beyond physical appearance of team members. Looking good meant your professional appearance was sharp, neat and clean. Three-day-old, un-shaven 5 o’clock shadow is unacceptable in the business environment. Neatly trimmed and groomed facial hair can be dignified looking and promote a professional attitude. Team appearance projects a professional customer service attitude that enhances the team abilities to meet the needs of the customer. 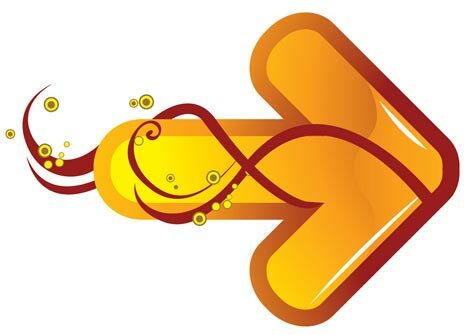 In addition, this extends to your physical plant, which to the customer indicates your team and organizational pride. Each team member looks good because they feel that the organization is an extension of themselves – their pride, their professionalism, and their desire to deliver top-notch customer service. 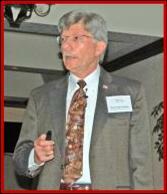 Leadership tea m building practices – just as in NASCAR and with sailing teams – is a key to organization success. Team cohesion requires a caring and empathic attitude to keep people performing at top-notch levels of performance.